I love listening to podcasts and radio stations whenever I am commuting or doing chores around the house. And although there are a lot of good paid and free podcasts app out there (I personally use Pocket Casts), I could never find an app which I could call my go-to app for listening to radio stations. Well, that might change pretty soon with Radiogram which we found in the Early Access section of the Play Store. 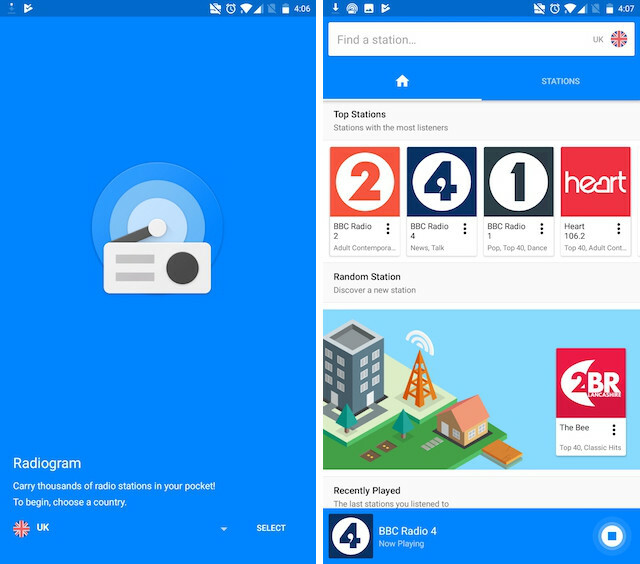 The app allows users to listen to their favorite radio stations for free, that too without any ads. The app is marked as unreleased on Play Store which means that it’s still under development, however, in my few hours of uses, I have taken a great liking to it. The biggest thing that’s going in favor of Radiogram is its user interface. It’s really simple to discover and search for radio stations and start listening to them. 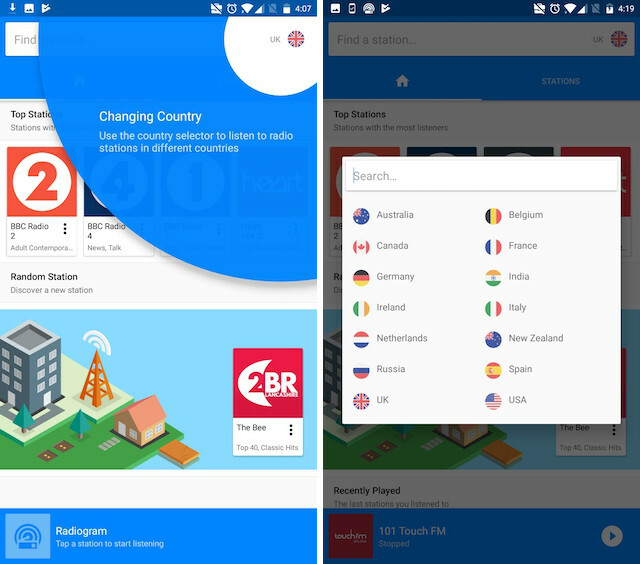 With one tap, the app allows you to change countries and lets you browse through all the radio stations on offer from that region. You can also browse by top stations, all stations, genre or collections. The different genres include pop, talk, news, rock, and many more. The selection of genre also changes depending on the selected country which is a nice thing. 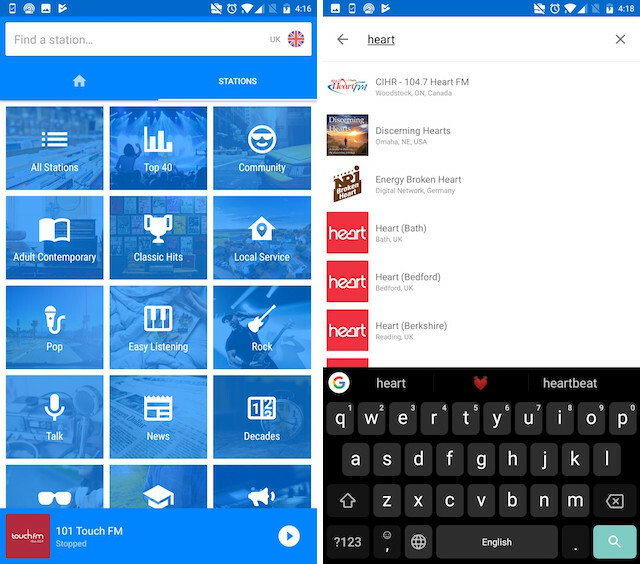 If you already know the name of the radio station you are looking for, you can directly search for it using the search bar at the top. However, remember that if you are using the search bar, it will search for radio stations from everywhere and not just the country you have selected. To play any station all you need to do is tap on it and it will start playing. Radiogram also allows you to favorite stations so that you don’t have to search for them again and again. All in all, I felt that Radiogram is a pretty decent app, that said, it does lack some features, and can feel a little barebones at times – we would have loved to see a shuffle feature for randomizing radio stations. However, seeing how it’s still an unreleased app, we are hopeful more features will be added before an official release. At the moment, the app has around 10,000 downloads, which is quite robust for an Early Access app, so we hope the official release isn’t far away. If you liked what you read here, you can check out the app by downloading the pre release version from the Play Store.